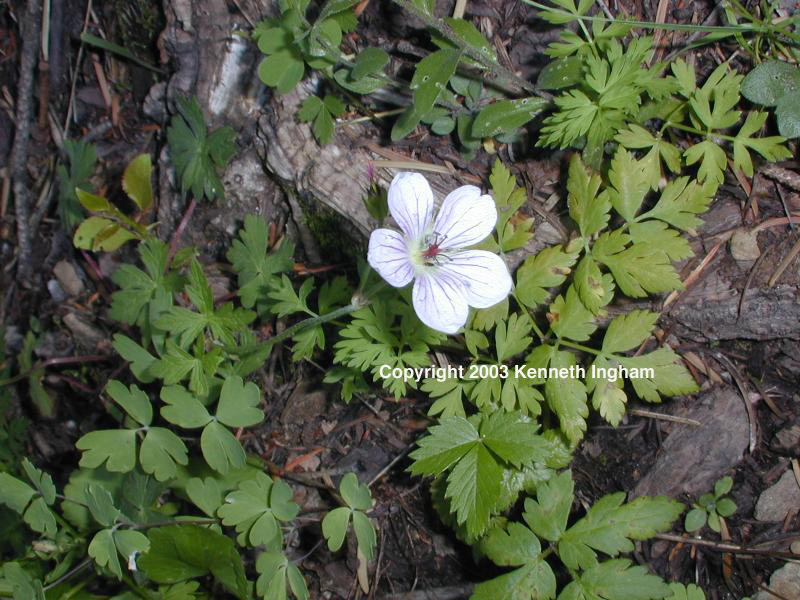 Richardson geranium, Geranium richardsonii is one of the more common wildflowers found along New Mexican mountain hiking trails. 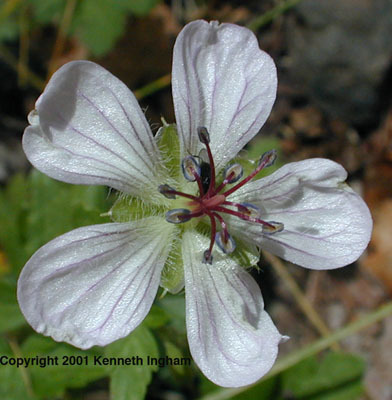 It belongs to the geranium family, which is also known as the cranes bill family for the shape of its seeds. :Habitat and range: Present in all western states west of Texas, plus South Dakota. (USDA Plant Database). 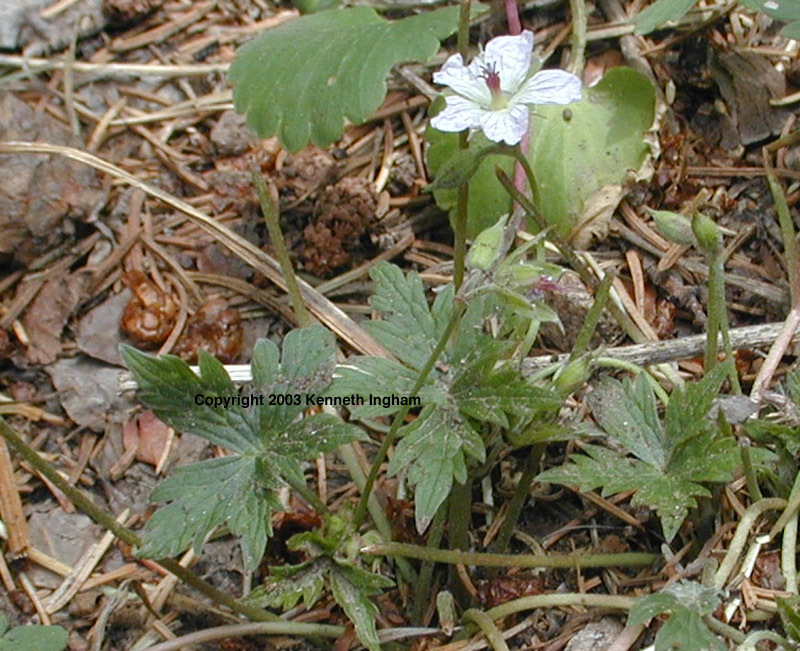 Growth habit: Forb/herb. :U.S. Nativity: Native. 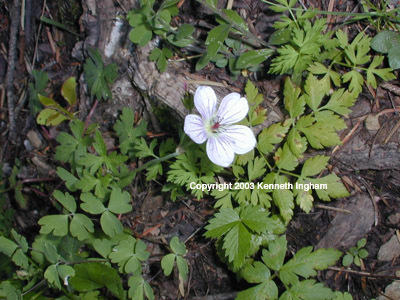 Overview of Richardson geranium, Geranium richardsonii. 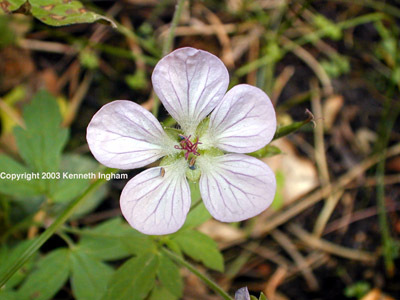 Close-up of Richardson geranium flower, Geranium richardsonii. Photo taken on 10/27/03 on the long Frijoles Canyon Loop Trail, Bandelier National Monument. Closer view of flower of Geranium richardsoniim taken along the Black Canyon Trail in the Santa Fe National Forest, 3 August 2001.